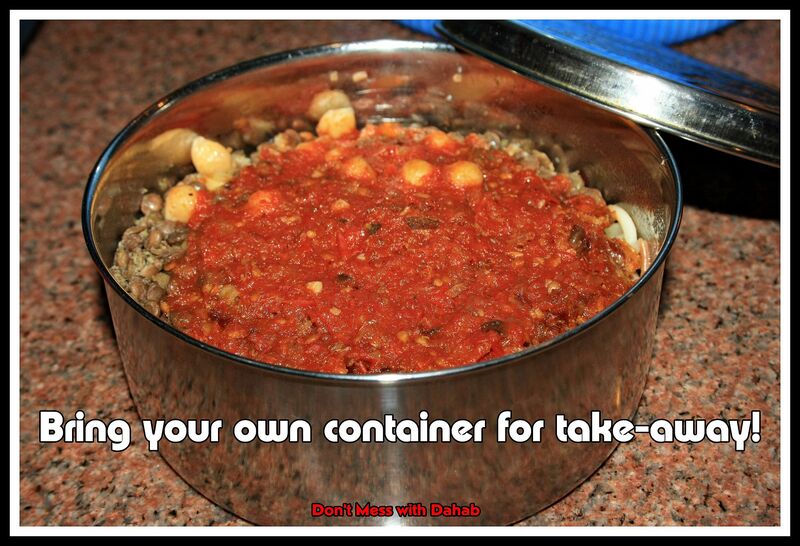 Bring your own container for take-away! Who doesn’t love koshary?! I know I do! But I REFUSE to buy koshary from the street carts because the pasta and rice are usually already packed in a disposable plastic container. Instead we buy koshary for take-away from the Mix Restaurant on the corner of Fanar Street, across from Leila’s Bakery. A delicious, nutritious, and plastic-free meal!